Government authority located in Tennessee, USA; based organization looking for expert vendor for telephone triage service. (1) Vendor needs to provide telephone triage and answering service and after-hours triage and assessment by registered nurse services from 4:30 p.m. until 8:00 a.m. through Monday, Wednesday, Thursday and Friday, from 5:30 p.m. to 8:00 a.m. on Tuesday during unexpected closures and for 24 hours a day on weekends and holidays. 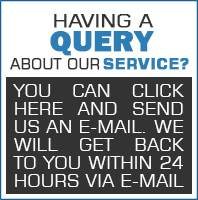 - Answering service to respond to patient calls within five minutes.